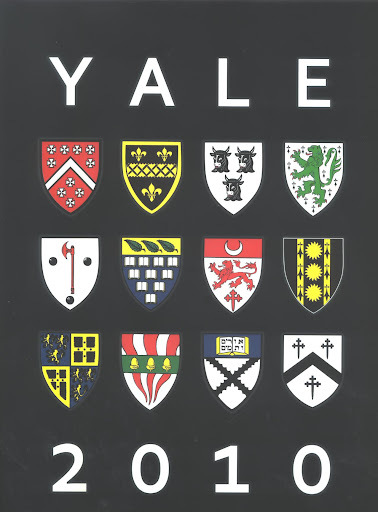 Fishville’s Notes: “For God, for Country and for Yale” is a famous phrase that well described Yale’s mission to produce future loyal Yale alumni who have a tradition to serve the national interests of the United States. It also showed Yale’s religious root when its founding fathers were usually protestant leaders. In this interesting article with emphasis on Yale’s relationship with China, the author used a plural of the word “countries” in his title “For countries, for Yale?” . With the efforts of Yale’s current president Richard Levin, Yale becomes a university with global influences by educating the future international leaders. The long history of Yale with China can easily be traced to Yung Wing (容闳), the first Chinese student who graduated from America’s colleges, and creation of one of the first few westernized medical schools in China: Hsiang-Ya Medical College (湘雅医学院). In his 17 years as Yale President, Levin will make his 20th trip to China in April to participate Tsinghua University’s centennial celebration. In April, University President Richard Levin will travel to Beijing to deliver an address to a crowd gathered to celebrate at Tsinghua University. It will be the school’s 100th anniversary, and nearly Levin’s 20th trip to China in 17 years as Yale’s President. The University’s Asian outreach is not new — Yale’s ties to the continent date back to the mid-19th century. But the link has grown exponentially under Levin’s leadership. Since 2004, journeys east have not been limited to students hoping to polish language skills or spend a summer in Chinese non-profits. Yale and Chinese officials have traveled in both directions, sharing practices on how to lead the top universities in their respective countries. Now, the University plans to broaden these efforts within India and Singapore, and Yale administrators say the programs are natural extensions of an ethos created early in the University’s history. But regardless of historical precedent, the big question still remains: what’s in it for Yale? In 2001, the year Yale celebrated the 300th anniversary of its founding, Levin traveled to Beijing to deliver a speech at Peking University, China’s top school. Focusing on “the global university” of the future, Levin emphasized the importance of international partnerships to the future growth of universities. Only three years later, Levin announced yet another collaboration, this time not in research or teaching, but in administration. Working with the Chinese Ministry of Education, Yale identified presidents, vice presidents, provosts, and designated Communist Party representatives at China’s top universities to invite to the first China-Yale University Leadership Program in the summer of 2004. Held in New Haven, Yale administrators delivered presentations on university management, alumni relations and fundraising to their Chinese counterparts. For Yale administrators, the most significant discussions center on the liberal arts model of education, said Assistant University Secretary Fawn Wang, who is in charge of China within the Office of International Affairs. “The liberal arts education tries to enhance critical thinking and this is very important in [developing] creativity,” Wang said, adding that Chinese leaders have especially sought to foster these skills as one part of higher education reform. With the exception of 2008 — the year in which Beijing hosted the Summer Olympics — Yale administrators have met with university officials from China every year since 2004. In 2006, Yale officials traveled to China to hold the conference in Beijing, which included a shorter program but invited leaders from more Chinese universities. The 2011 program will be held in New Haven in October. Like the United States, China has thousands of universities. Even when the program is located in China, there is no way for Yale officials to work directly with more than a handful of university leaders. Therefore, Yale works with leaders from China’s top 10 to 20 universities, but because Yale works directly with the Chinese Ministry of Education to plan the program’s curriculum, Levin said the Ministry subsequently uses the same curriculum to educate hundreds of other Chinese schools. Since the first meeting in 2004, Wang said administrators have seen real changes in the Chinese approach to education, adding that Yale officials are very pleased with the results. Several top Chinese universities have implemented the liberal arts teaching model on a small scale, she said, such as Fudan University’s Fudan College — which is based directly on Yale College. The impact, Wang said, has been significant. “When they return to China, they implement. They make changes.” Wang said, adding that many Chinese university officials have told her that when their presidents return from Yale, all they talk about is the deep impression they have received while in New Haven. But, in China, Yale’s work has been made easier by the University’s long history with the country. The first Chinese national to attend a western university graduated from Yale in 1854, and the first three presidents at Tsinghua all studied at Yale, Wang said. “In China, there are these deep historical linkages that Yale has leveraged in its strategy over the years,” George Joseph, who also works as an assistant secretary for international affairs and is responsible for Yale’s efforts in South Asia. Now, as Yale administrators look elsewhere to expand and develop the program they have built in China, they say they will adapt their programs to fit each country’s individual structure and needs. “[India, China and Singapore] all have similar aspirations: they all want to deliver a high quality education to their brightest young people,” Levin said. “But they do see the world differently. Last October, Levin signed an agreement with two Indian universities — the Indian Institute of Technology-Kanpur and the Indian Institute of Technology-Kozhikode — to provide training in university administration in a program modeled after Yale’s existing work in China. Like Yale’s program with Chinese universities, the program in India will be held alternately in New Haven and in India. But the Indian program will also create two centers for education in the two universities in the country which will teach the administration strategies to other universities. Still, in India, Yale does not have the advantages of historical ties that it has enjoyed in China. Indian university officials will first come to New Haven this September, but the University’s engagement with Indian universities builds upon the launch of the Yale India Initiative in 2008, which was designed to strengthen Yale’s relationship with India by expanding South Asian studies at Yale. Joseph said the university leadership development program, which he described as “University Administration 101” in an October interview, is just one component of a broad-based outreach to India. For example, Yale has already worked with members of the Indian Parliament and other government officials in leadership training programs in the past. The announcement of Yale’s plans to cooperate with the National University of Singapore (NUS) in opening a liberal arts college in the nation of Singapore will take the “University Administration 101” concept one step further as administrators from Yale and NUS work side-by-side in operating the college, which is scheduled to open in 2013. While Yale’s efforts in China have typically only resulted in bringing one aspect of an American liberal arts education — non-specialized degree programs — to China, Levin said the Yale-NUS College will expand upon these efforts by including more “Western” teaching methods, residential colleges and extracurricular activities. Yale’s collaborations with universities domestic and abroad are nothing new. In the original prospectus sent to faculty members about Yale’s plans in Singapore, Levin and Provost Peter Salovey noted that early members of the Yale community went on to found or run what are now many of the nation’s top colleges and universities. The list is lengthy: Princeton was founded by three Yale graduates (their fourth partner was a Harvard man) in 1746. Columbia, Williams, Swarthmore and Dartmouth soon followed. In addition to these early university leaders in the United States, Levin also pointed to the Graduate School — which awarded the nation’s first Ph.D. degree — and numerous first professional schools as examples of higher education innovation in Yale’s past. More recently, many former top administrators under Levin have gone on to lead elite colleges and universities both in the United States and abroad. The list includes Andrew Hamilton, former provost and current vice-chancellor at Oxford University, and Massachusetts Institute of Technology President Susan Hockfield, who had also served as provost at Yale. But while Yale’s most recent efforts abroad are in keeping with a long tradition of academic influence, the programs in China, India and Singapore are of a different breed. Yale did not initiate contact with China or Singapore or India for these programs, Levin said. Instead, he added, they are more an opportunity that Yale has seized with enthusiasm: the chance to help guide the education systems of the world’s fastest-growing economies proved too significant to turn down. Even if Yale isn’t plotting its global expansion, Joseph said these programs reap significant benefits for Yale. At the most basic level, he added, Yale’s international connections, which include educating university administrators, is a process of building relationships that benefit both parties. Each meeting with Chinese administrators brings knowledge of other institutions’ strengths, he said. “I think we understand how Chinese universities work better than any other American university does,” Levin said with a laugh. Similarly, in negotiating the budget for the liberal arts college in Singapore, Yale has not only had to work with the NUS administration but also with government officials. NUS is a public institution, and the liberal arts college will be fully funded by the Singaporean government. The budget has yet to be finalized and released. Working within this different political context furthers the University’s existing goal of increasing international connections in order to promote understanding, Levin said. In 2005, Yale expanded grant funding for students on financial aid to have at least one experience abroad during their undergraduate careers. These connections pay dividends for Yale not only overseas but also at home in New Haven, Levin said, adding that much of this benefit stems from spreading the University’s name worldwide. “Being on the cutting edge of how universities should be organized means we get very good word-of-mouth endorsement from the leaders of those universities,” Levin said. Apart from the work of the Yale India Initiative, Joseph said Yale has worked to inform students in India about the generosity of Yale’s undergraduate financial aid and graduate school stipend policies. He also pointed to Levin’s annual trips to the country — during which he participates in the World Economic Forum conference — and the Yale Leadership Summit in India, an event hosted by the School of Management, as examples of Yale’s outreach efforts to India. The result of all of these activities has been to raise Yale’s profile in India, Joseph said. Compared with only five years ago, Yale has developed a reputation independent from other top schools in the United States, he said. This, in turn, has come to benefit Yale directly in the admissions process. “The caliber of students we’re now seeing [from India], the caliber of applications we’re now seeing, are much greater than what we have seen years ago,” Joseph said. But is Yale really reaping all the benefits? Even though Yale administrators insist that these relationships are mutually beneficial, Brian Heuser, an expert on international higher education and a professor at Vanderbilt University’s top-ranked Peabody School of Education said Yale may be missing out on an opportunity to learn more from its partners abroad. It is the students in a school such as Peabody — something Yale lacks — that would benefit most from the knowledge of a foreign practitioner. In his comparative education classes at Vanderbilt, Heuser said having foreign visitors talk with his students has proven valuable. But he said he questions whether Yale administrators will implement anything they learn from universities in China or India. In fact, Director of the Office of International Affairs Donald Filer said the University frequently receives requests from foreign universities and ministries of education. But because these universities are often seeking partners with education schools, he often declines the request, recommending an American university with an education school, such as Harvard, Stanford or the University of Pennsylvania. Despite Yale’s lack of a formalized program, Heuser said the University’s experience in administration is sufficient to educate foreign university heads. Given Yale’s prestige, many universities abroad will be interested in collaborating with Yale in order to enhance their own profiles, he added. And because Yale administrators are teaching what they practice, Levin said the University is fully qualified to teach administration strategies to foreign educators. He said that it is unlikely that the University will open a graduate school of education at any point in the near future. Joseph said he does not know of other program run by Yale’s peers that are both as comprehensive and as high-level as Yale’s programs. “We’re probably the vanguard among universities that are doing it,” Joseph said.